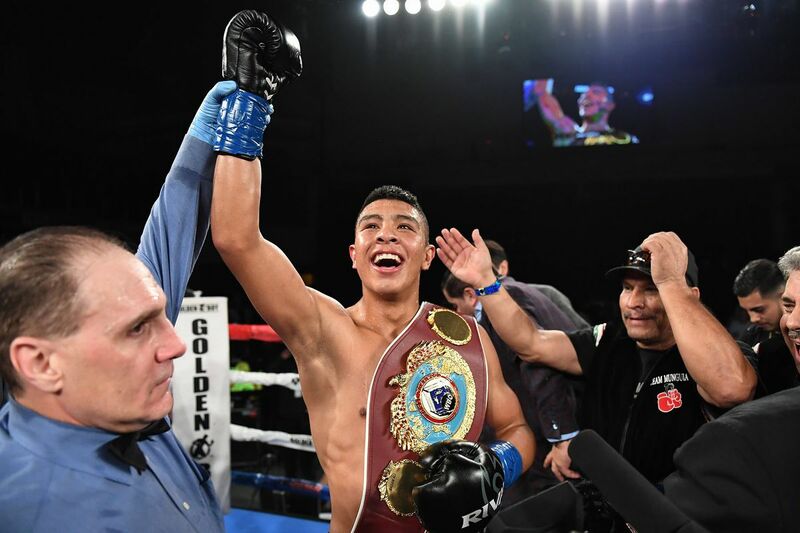 Undefeated super welterweight world titleholder Jaime Munguia knocked out Brandon Cook in the third round to retain his title Saturday at T-Mobile Arena in Las Vegas. Munguia (31-0, 26 KO's), 21, of Mexico, dictated the pace in the opening round behind his jab, pushing his opponent back throughout the frame. Munguia went on a tear in the final seconds, hammering Cook with a barrage of punches to the head and the body, but Cook was saved by the bell. In the second round, Cook bull-rushed Munguia and landed a left hand, but Munguia was not fazed, and returned the favor with a ferocious left to the body. Munguia sent Cook to the canvas down with a hard left hook in the third round. After trapping Cook against the ropes, Munguia went for the kill, clobbering a frozen Cook, who was stopped on his feet. Munguia, who won the WBO 154-pound world title after knocking out Sadam Ali as a replacement opponent after Liam Smith pulled out with a skin condition, also handed Smith a loss in July when he won a unanimous decision. Cook (20-2, 13 KO's) was stopped for the second time in his professional career. The 32-year-old Canada native was knocked out last September by unbeaten Kazakh fighter Kanat Islam.